The music [kid’s musicians] create, I don’t really like but the fact that they’re making it, I respect that. I have tolerated listening to “Let It Go” thousands of times and admit to actually enjoying hearing my kids sing the words and mimicking Elsa’s movements. I put on a happy face when my brother taught my kids The Penguin Song. But, recently while on a road trip, sometime between the third or fourth time sitting through an entire album of kid’s songs devoted to grammar, I decided I’d had enough. I realized I had two options. One, I could write and record children’s music that was appealing to both kids and adults. Or two, I could find music that was more appealing to my kids and me. Seeing as my career prospects as a musician peaked in 7th grade as a 2nd chair trombonist, I chose option two. In the weeks since, I have made an effort to play different (kid appropriate) music around my kids and pay attention to what songs they like the most. I then download those songs to my phone and add them to a playlist I created. Simple as that. I wish I’d thought of it years ago! I look forward to seeing our playlist in 5, 10, 15 plus years and seeing what memories those songs evoke of my children’s younger years. I get to share something important to me (music, creative expression, etc) with my kids. Hearing my kids sing the songs I enjoy and asking me to play a song again and again is a truly awesome experience! Listening to music together is a bonding experience. When I worked on a residential treatment campus and a new youth arrived, one of the first questions was “Who do you listen to?” Some of my favorite memories from working with those kids revolve around talking about music, sharing favorite songs and taking them to concerts. I could go on but I think you get the point. I could have put up with annoying kid’s music for a few more years until my kids moved into the annoying tween music phase, but I’m not really one to just settle for the status quo. Out of my annoyance, I challenged myself to come up with a better way. I would love to hear about the creative things you’ve done to build better relationships with your kids! Or maybe you’re looking for more ideas on simple relationship building activities to do with your kids? Feel free to comment below or on Facebook or Twitter so we can support and raise each other up! Check out our play list on Spotify. 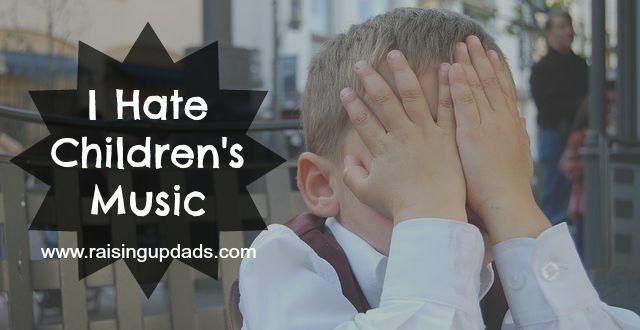 This entry was posted in Parenting Strategies and tagged children's music, dads, family, fatherhood, fathers, let it go, music, parenthood, Parenting, road trip, spotify, the penguin song, zoolander. Bookmark the permalink.